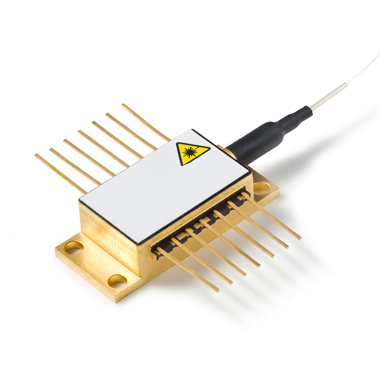 II-VI wavelength stabilized high power single mode laser module has been designed as a light source for pulsed fiber laser applications. Processes and techniques of coupling the fiber to the laser allow high peak output powers that are very stable with both time and temperature. A broad bandwidth grating located in the polarization maintaining optical fiber close to the package allows for short pulse operation.